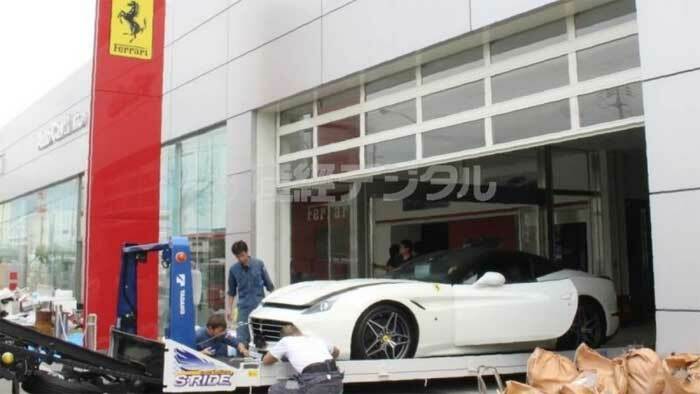 A Ferrari dealership on an artificial island called Rokko Island in the city of Kobe, Japan was absolutely hammered by typhoon Jebi. This storm is said to be the most powerful typhoon that hit Japan in 25 years. The storm sent a three-foot storm surge into the showroom for the high-end dealership. Inside that showroom were 53 new and used Ferrari cars, some of which had already been sold. Out of the 53 total Ferraris in the showroom, 51 of them were totaled by the storm. Employees of the dealership tried valiantly to save the cars by putting tarps over the doors and using sandbags. The storm still destroyed the cars. I must wonder with a reported $9 million in inventory lost why the dealership didn’t simply drive the cars to safety? Many of the totaled cars will be scrapped.